Qhubeka bicycles are durable, featuring steel alloy frames, forks and spokes and a rear carrier capacity rated to 100kg. 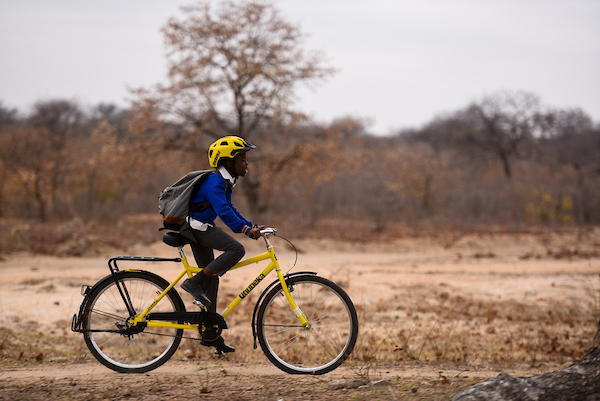 Using high-quality, well-designed parts, each complete bike weighs in at 24kg and has the functionality, reliability and strength needed to support big loads and passengers over long distances in remote areas. Support the partnership between The Buffalo Foundation, Qhubeka and HotChillee by donating the cost of a Qhubeka bicycle, ensuring that distance is no longer a barrier to education, healthcare and economic opportunity.